William O’Neal is a high impact speaker and trainer with an inspiring message that focuses on the significance of living a life of purpose and achieving greatness through service to others. With his unique blend of wisdom, humor, and enthusiasm, William consistently delivers presentations that are inspirational, informational, and entertaining. His speeches are aimed at stimulating members of his audience to take action to develop their potential and unleash the greatness that is within. William has a passion for the healthcare and education industries and has had the privilege of serving as a Human Resources professional with the University of Alabama Birmingham, Children’s Health System of Alabama, Children’s Healthcare of Atlanta, and more recently Emory University. William uses his talents of speaking and behavioral training to help inspire an organizational culture where employees want to work, physicians want to practice, and patient families want to bring their love ones to have their healthcare needs met. With his passionate message of achieving greatness by serving others, William has made a profound impact on the healthcare and education workforce at all levels. William holds numerous professional behavioral training certifications by vendors such as DDI, ELI, Vital Smarts, Ken Blanchard Companies and others. William received a Bachelor Degree from the School of Social and Behavioral Sciences at the University of Alabama Birmingham (UAB). He earned money for school by working as a student worker in the UAB Human Resource Department, while also serving as a member of the U.S. Navy Reserves. At an early age William discovered that the key to overcoming challenges in order to achieve greatness is to live life on basic wisdom principles found in the Bible. In grade school he was labeled a “slow learner”. This label inflicted many feelings of inferiority and low self-esteem. During his middle school years William made a decision to live a principle-centered life. As a result of this decision his academic career took a turn for the better. Armed with the principles of personal vision and strong work ethic, he was able to go from being considered a slow learner to being a member of the National Junior Honor Society. William O’Neal is an ordained minister in the Christian faith. During his junior and senior years in college, he earned a scholarship from the state of Alabama for serving as a Juvenile Detention Monitor for delinquent teenagers. While doing this work, he noticed that 100% of the criminal youth on his caseload were living without purpose and did not have a positive vision for their own life. Because of this experience, William was inspired to accept his calling to Christian Ministry. He served as Youth Pastor of Mt. Canaan Full Gospel Church in Birmingham, Alabama where his father serves as Senior Pastor. It was there that William created a teen ministry he named Y.W.V. (Youth With a Vision). Over the course of seven years through this ministry, he was able to inspire hundreds of youth and young adults to pursue a life of purpose. 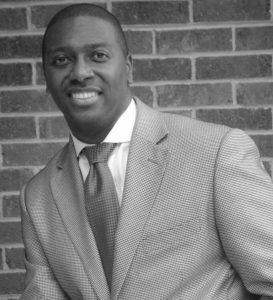 William has also served as Youth Minister for Bethlehem Baptist Church in South West Atlanta and currently serves as Pastor of Living Word Church Ministries located in Fairburn, GA.
William lives in the suburbs of Atlanta, Georgia where he and his wife Bridgette are happily married and enjoying raising their family. They have been blessed with a son, William, II and a daughter, Kenadee. They are committed to instilling into their children faith in the principles of God’s Word and a good sense of humor.